Alumna Sara Stephens went on a medical humanities mission trip as a Baylor undergraduate student in 2014. Four years later, she is on track to complete a Masters of Public Health with a major in epidemiology and a concentration in maternal and child health from UTHealth School of Public Health in Houston, Texas. We had the opportunity to interview Stephens about how her service at Baylor impacted her life, and what she is doing now. “I’m working at Texas Children’s Hospital in the Adolescent Medicine department conducting research as to how best to gauge and improve chronically ill teen and young adult’s feelings of competence, relatedness, and autonomy with the intent to help them transition to adult-based case. I also help conduct research at McGovern Medical School studying sexual health and behavioral theory applications among juvenile incarcerated youth here in the Houston area,” she said. Stephens is working hard for a purpose, and plans to apply to medical school in May. “I want to ultimately integrate clinical and public health research into my career as a pediatrician, and to understand the context of my patient’s lives beyond the symptoms they present with,” she said. Stephens believes her journey into public health was influenced by the opportunities she had at Baylor. “My service and other experiences at Baylor served as some of the most formative exposures that drove me to study public health before beginning my medical training.My 4 years at Baylor were truly a unique experience characterized by studying under a renowned pre-health program while simultaneously engaging with some of the kindest, most compassionate individuals,” she said. Stephens learned about her passion for public health volunteering and working with several different organizations throughout her time at Baylor including the Medical Humanities Department, Mission Waco, American Medical Women’s Association and Providence Hospital. Stephens beliefs about care for patients today resemble the beliefs she spoke about after her mission trip with Baylor in 2014, where she participated in a medical brigade, completed rounds, took vital signs, shadowed doctors, and helped organize pharmaceutical care to patients. 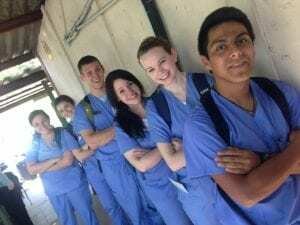 “We learned about community, and more importantly, we learned that although our lives so often revolve around our GPA and resume, the pre-health field revolves around the people we seek to serve. These are faces beyond the statistics, where we may see the hope, empathy, and joy of our patients” Stephens said in 2014 after her trip. Today Stephens shares her passion for health, and is open about the formative role of her undergraduate years. “For me, public health was the perfect route for that where I’ve been able to interact and learn from patients, teens, mentors, and colleagues alike. My 4 years at Baylor were some of the most challenging, exhausting, formative, and rewarding years to begin my journey, and the service I had the privilege to engage in here is something I’ll never forget” she said. 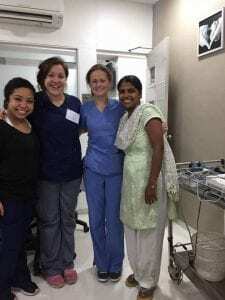 The photo below is from Stephens’ cultural immersion trip to India in summer 2017 right after graduating from Baylor. 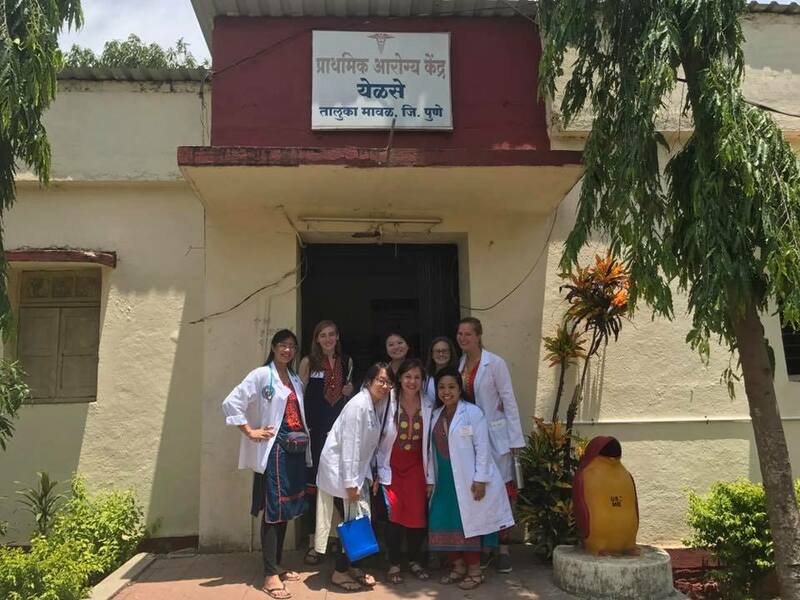 Stephens (second from the left) spent a month in the beautiful city of Pune shadowing ob/gyn and pediatric physicians, learning about community outreach initiatives India has implemented for its communities, and its healthcare system. In the second photo, Stephens (first row middle) poses with her team. Sara Stephens (fourth from the left) on her Medical Humanities mission trip in 2014.